AN ENORMOUS ESTATE, A QUAINT VILLA – BOTH OPEN DEC 2ND FROM 1-4PM IN QUAIL WEST! 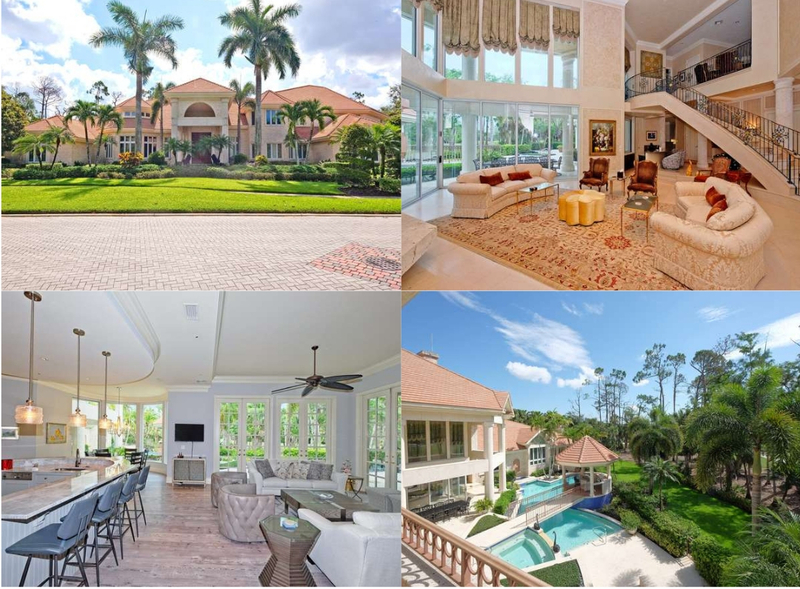 Levitan Realty > Blog > Uncategorized > AN ENORMOUS ESTATE, A QUAINT VILLA – BOTH OPEN DEC 2ND FROM 1-4PM IN QUAIL WEST! Located in the high-end golf course community of Quail West with ONLY single family homes, this 3-bedroom plus Den/Office custom designed villa by McGarvey Custom Homes is perfectly situated on a cul-de-sac lot. The custom floor plan encompasses two master suites with a guest suite, allows for an extra large great room with a gourmet kitchen and island, and also an exceptional wet bar with wine cooler, refrigerator, ice maker and wine rack. The expanded lanai area with an outdoor kitchen and fireplace also has a 2-story lanai cage that allows a magnificent view of the oak trees grove, golf course and lake. Because of the extra area around the pool and spa, there is ample room for all types of lanai furniture. To entertain in the evening is beautiful with all the added landscape lighting and the multi-color light system in the pool and spa. Because Quail West allows it members to have their own golf carts, just store yours in one of the 3 separate garage door bays. Everything in this home has been designed and custom-picked for quality! Come enjoy all the amenities of Quail West with the new 2-story fitness center, newly renovated 70,000 sq.ft. club house and much more! Situated on over 2 acres, this grand estate home features 6 bedrooms, 7-1/2 baths, fabulous Study/Library, Media Room spectacular pool area and more. In the master bedroom area there is a sitting room with fireplace and also an exercise space. Upstairs boasts a separate guest living area and 3 guest rooms with balconies. One must see this home to experience all the features. Enthusiastic members abound at the club with all the amenities offered: Two 18-hole championship golf courses, tennis, pickle ball, bocce, a new 2-story fitness center, a full service salon and spa, a gorgeous 70,000 sq.ft. club house that has had a TOTAL renovation! Come and enjoy a wonderful lifestyle.